Much has happened in my life during the last two years making it seem even longer to me. Absorbed with changes, I have let things slide. 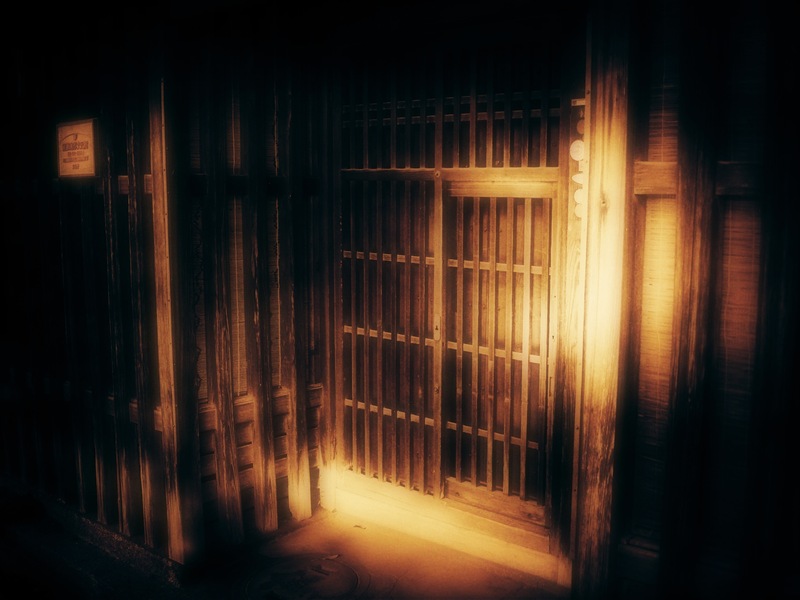 So, like the door of the old Naramachi house, it is time to open and let some sunlight in and dust out. On a Nara summer afternoon walking the paths of 春日大社 (Kasuga Taisha) brings one relief from the heat and sunlight. As a boy I enjoyed reading my mother’s ikebana books while she created simple, elegant arrangements. It was difficult to imagine that something so beautiful could arise from the newspapers and greenery covering the kitchen table. One book had a chapter on placing 燈籠 (stone lanterns) in a garden and I constantly asked for a lantern. 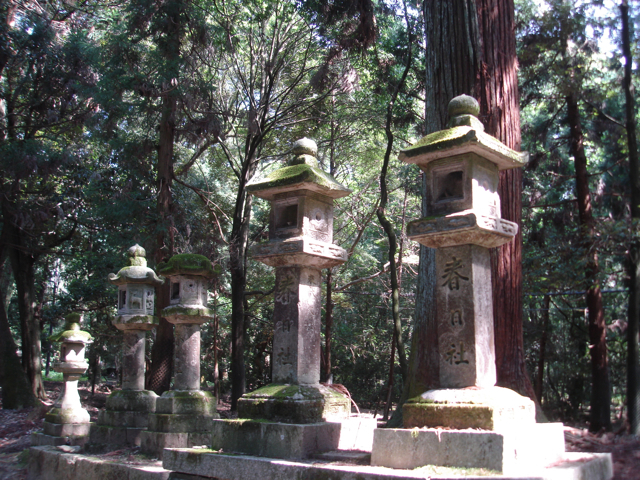 The paths and grounds of Kasuga Taisha are lined with hundreds of lanterns; the work of masons over centuries. Seeing them with lights flickering inside is an experience beyond words. In arguably the most important period in Japan since August 1945, in-fighting and power struggles have hijacked the institutions needed to lead and restore the nation post 11th, March. The cultural qualities which are an important factor in Japan’s future recovery, industrial growth and economic success seem lacking in the political class which rules this nation. In his post of 4th, June, Garren details both the politics and the plight of the large portion of the population directly affected. This article should be required reading for all in the world concerned with public policy and it’s impact. In the immediate aftermath of the quake, tsunami and nuclear reactor failure I read many articles and posts comparing the effects with previous calamities, almost all of which I felt underestimated the impact. Inaction and indecision will surely result in this effectively becoming the worst natural disaster to affect an industrialized country. I struggle to understand the aspects of Japanese culture which seem to accept this worst of all possible reactions to the crisis by politicians as being acceptable. Motions of non-confidence and other parliamentary procedures calculated to make problems are not acceptable now, however, those proposing them do so with with apparent impunity. The anger of the mayors and residents of the destroyed cities and towns of Tohoku is apparently irrelevant. Those qualities mentioned by Garren (diligence, honesty, consensus, community and perseverance) are admirable and even enviable; they are also essential to the rebuilding and restoration of modern life in Japan. Leadership and vision are required; unfortunately it seems that those who should be providing them are otherwise engaged. Ed. Steve Naegele sent a comment which I will add here. It truly captures the essence of what I was thinking. Wash and cut slits into a tomato. I prefer the black-green ones but any tomato with rich flavour will do. Slice a soft cheese such as bocconcini into wedges and insert into tomato slits. Place on a plate with full flavoured greens like arugula and basil. Drizzle a little vinegar . Preparation time: about two minutes. Spring weather does not get any better than this. Cloudless sky, cool breeze and green rice fields with blue mountains in the distance. Naoko’s day off so we went to Osaka in the afternoon. Spent the time walking and sight-seeing. Listened to a very good local punk rock band playing in front of JR Osaka Umeda station. Jeff, my God Son, a serious punk rocker, would approve. In the evening we went to one of my favourite restaurants in Namba, 三間堂、 San Gen Dou. Take a look at the attached; it may appear to be a slushie in a box, but it is really Yuki Doke Zake, (melting snow sake.) Presented with a small dish of black sesame tofu (left), don’t believe what you learned in medical school about low temperatures slowing reactions, this innocent-looking treat will hit one like a Shinkansen on the fast track. 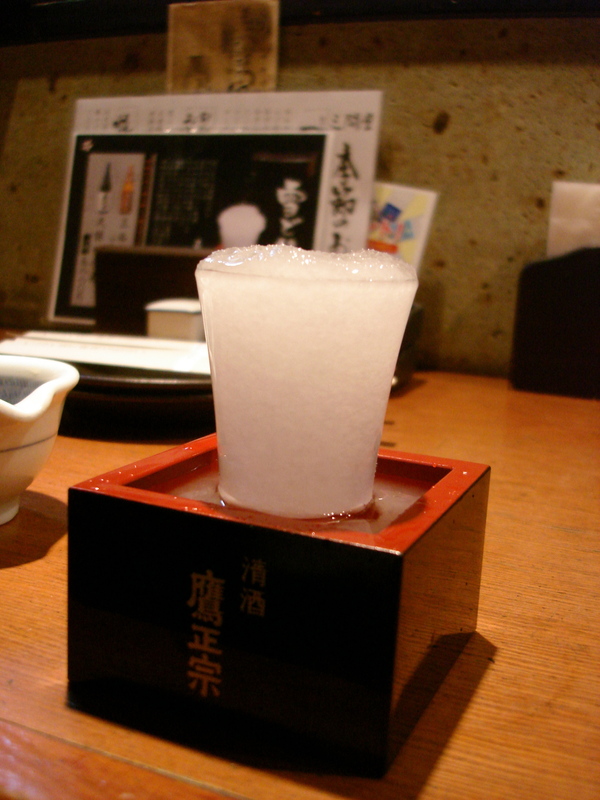 A frozen glass is filled with very cold sake such that it overflows, filling the box which is also frozen. Almost instantly the sake — take your pick, dry or fruity — turns to ice. The challenge is to consume it without getting any on one’s kimono. Original note written April 25, 2010. When the summer is hot, as it is at the moment, I usually keep a melon seeded and cut into ready-to-eat-pieces in the Frigidaire. I arrived home from the gym hungry and craving something cold, and filling. There was not much cold in the house at the time but I did have cantaloupe and bocconcini. 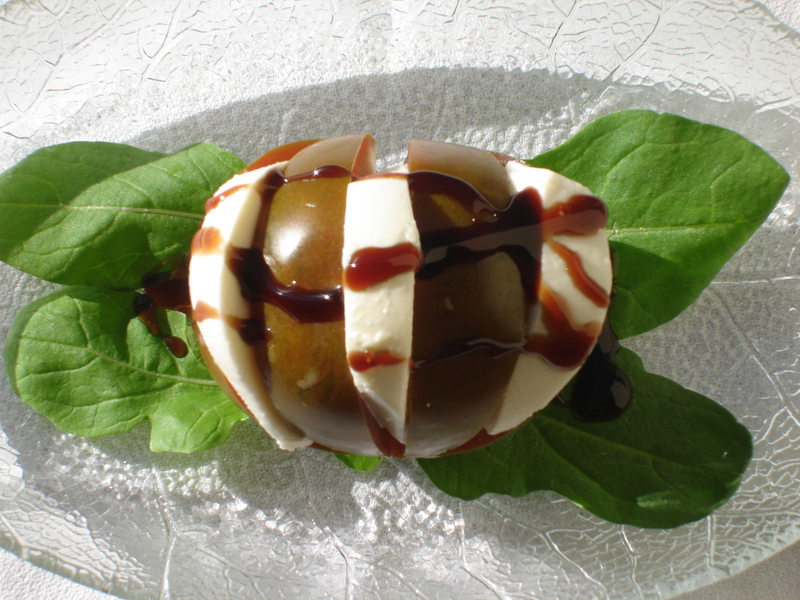 I made my own variation of a Caprese salad by putting a little balsamic glaze on top; a healthy instant cool-down. For those concerned that this is insufficient to restore one after a heavy workout I recommend a cheeseburger for dessert.